Robert Daddow is a Certified Public Accountant. He earned a B.S. in Business Administration and M.B.A. from Central Michigan University. He Joined Ernst & Young in December 1974 as a staff auditor, eventually making partner, specializing in governmental auditing and consulting. Clients included — Wayne County, City of Ecorse, numerous school districts and dozens of cities, villages and townships. Since 1993, he has worked for Oakland County. First, as the Director of the Department of Management and Budget and concurrently as the Director of the Department of Information Technology. 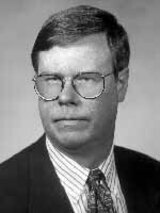 In 2000, Daddow assumed a newly created position — Assistant Deputy County Executive for Special Projects. He is the group leader for Information Technology/Management & Budget. He is largely involved in major financial initiatives, funding, and technology implementation. While at Oakland County, Daddow led and/or initiated most of the privatization efforts previously cited in publications for Oakland County over the past 8 years. He has led many special projects including but not limited to a half dozen privatizations, launch of the Community Corrections program, transition of the Community Mental Health program from a shared-service model to full-service, movement from an attended emergency management radio system, and many computer initiatives.